YES! You’ve nailed it with a click-worthy headline. You know how to write a great introduction, right? An exciting, can’t-stop-reading first paragraph? Look, writing introductions is hard. In fact, sometimes it’s the worst. Sometimes, just starting the damn thing will nearly kill your soul. OK, I’m exaggerating a bit, but when it comes to introductions, the struggle is real. If you don’t nail the introduction, you’ve failed the reader. They won’t keep reading, period. No matter how good the meat of your content may be. Which is why knowing how to write a great introduction is an essential skill to master. And this applies to all types of content you may be writing: from your blog content to your email newsletters. 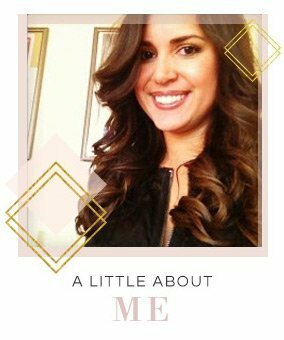 Introductions are the first thing I obsess over when I’m editing stories from my freelancers. 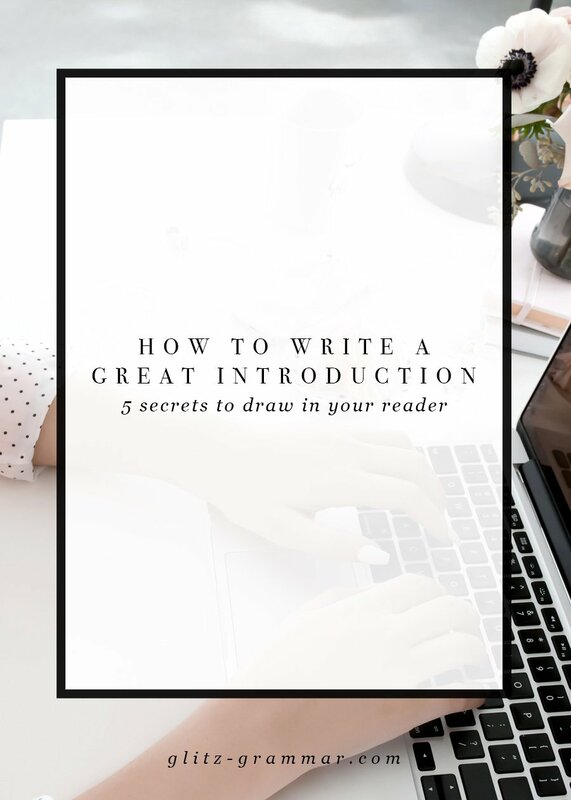 Because the fact is, an excellent introduction can make or break your story. Memorable line, right? It’s memorable for a reason. Right away, the scene is set and I’m ready to be captivated by this vivid tale. When you open your story with some beautiful imagery, you’re transporting the reader to another time and place. And once you’ve got them hooked, it’s that much easier to keep their interest. I don’t love starting out stories with statistics, but when used right, it can be a powerful tool. “75% of bloggers blog part time” isn’t that captivating of an intro. “90% of bloggers never make a dollar from their blog” does capture my attention. When starting your story with a statistic, be sure it’s really intriguing and something that will make the reader want to read more. Everyone loves drama, it’s irresistible. There’s nothing like a little tension to get anyone sucked into a story. Make the stakes high and use the power of storytelling to open up with something dramatic readers won’t be able to resist. When done right, opening your story with some historical facts and background captivates readers. It’s a great way to get someone immersed and emotionally involved in your tale, which ensures they’ll keep on reading. Again, this can be applied to any form of writing. If you’re writing a post about flared jeans being in style you can open it by talking about the first time they came on the fashion scene. Sometimes, we overcomplicate things. And the answer can often be so simple. In many cases, that may just mean you open up your story and get straight to the point. 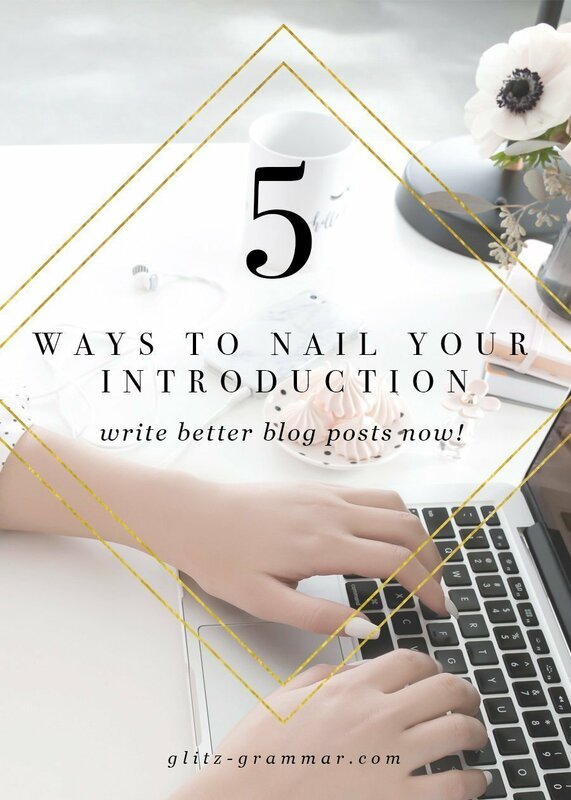 This is especially effecive with blog writing because people tend to have shorter attention spans and want to get straight to the meat of your content as soon as possible. There isn’t always a need to build up and “prep” your content, you can just dive write in and get right to the point! Bonus: Take a break. Write the intro last. Introductions are tough. When it’s just not working, or I’m not feeling confident about it, I just move on and start my story elsewhere. This might mean I’m writing the middle and end part of my content and going back to the introduction at a later time. Oftentimes when you do this, you’re able to get into the writing “groove” and then go back and come up with something brilliant for your into. Next time you’re stuck, stop trying to force it and try this method out! Like this post? Pin me, please! If you’re not sure how to write a great introduction, try these five techniques: Get historical; use facts and statistics; create drama; tell a vivid tale or just get straight to the point. These are all great ways to get your readers engaged right away! Do you struggle with writing introductions? What are your tips for nailing this all-important piece of writing? Like This Post? Join The Copy Clique! Get writing tips, exclusive news, blog posts and more, straight to your inbox. Join the fun! Success! Now check your email to confirm your subscription. Be sure to check your junk folder, too!